Lynn Swann serves as USC’s eighth athletic director, providing leadership for the university’s 21 women’s and men’s athletic teams. 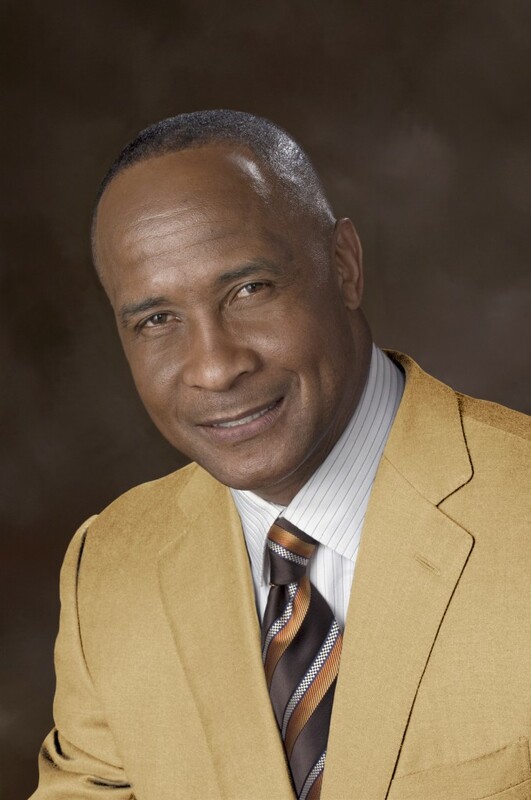 A Trojan alumnus, Swann was a legendary Hall of Fame wide receiver with USC and the Pittsburgh Steelers who made a mark in the worlds of broadcasting, politics, corporate governance, civic engagement, and philanthropy. Well known within the Trojan Family and globally, Swann distinguished himself as a leader in both the civic and corporate arenas, offering an inspiring voice on the importance of assuming responsibility, strong leadership, and maximizing opportunities. As a respected philanthropist, Swann has fundraised for a variety of charitable and community organizations, including the Pittsburgh Ballet. Swann served two years as president of the national board of Big Brothers Big Sisters of America, an organization with which he was active for more than 30 years. As president, he managed more than 300 agencies across the United States and helped establish the organization as the premier mentoring group in the nation. President George W. Bush appointed Swann as the chairman of the President’s Council on Fitness, Sports and Nutrition, where he served from 2002 to 2005. In 2006, Swann was the Republican nominee for Pennsylvania governor, running a campaign that drew praise for its organization and focus as he attempted to become the first African-American governor in that state’s history. He captured 40 percent of the vote against the Democratic incumbent. Swann furthered his governance experience as a director of international companies including The H. J. Heinz Company, Wyndham Hotels and Resorts, and Hershey Entertainment and Resorts. Effective July 1, he serves only on the Fluor Corporation Board and, until his term ends in November 2016, on the board of the non-profit PGA of America. Swann worked for ABC from 1976 to 2006, serving as a host, reporter, and analyst for a wide range of events, from college football, Monday Night Football, and the Summer and Winter Olympics, to the Triple Crown, Wide World of Sports, and The American Sportsman. He also hosted the TV game show To Tell The Truth in 1990 and 1991, made an appearance on Mister Rogers’ Neighborhood and appeared in the movie The Waterboy. Swann earned his bachelor’s degree in public relations from USC in 1974. He later returned to USC to take graduate-level courses in broadcast production, along with outside instruction in writing, speech, and acting. He assumed his role as USC’s athletic director on July 1, 2016.